I LOVE to travel. When I was in college, I was lucky enough to have the opportunity to study abroad for a semester in Wales. Not only did the university arrange plenty of cheap, weekend trips, but we also had the entire month of April off to go travel. And, as any traveler would know, you just can’t beat the food. 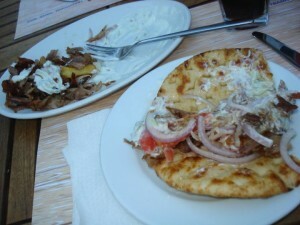 One of the meals I ate while in Greece: gyros! On those nights when I’m salivating at the thought of visiting another French café or eating in an Italian pizzeria, I look for recipes to satisfy my cravings. 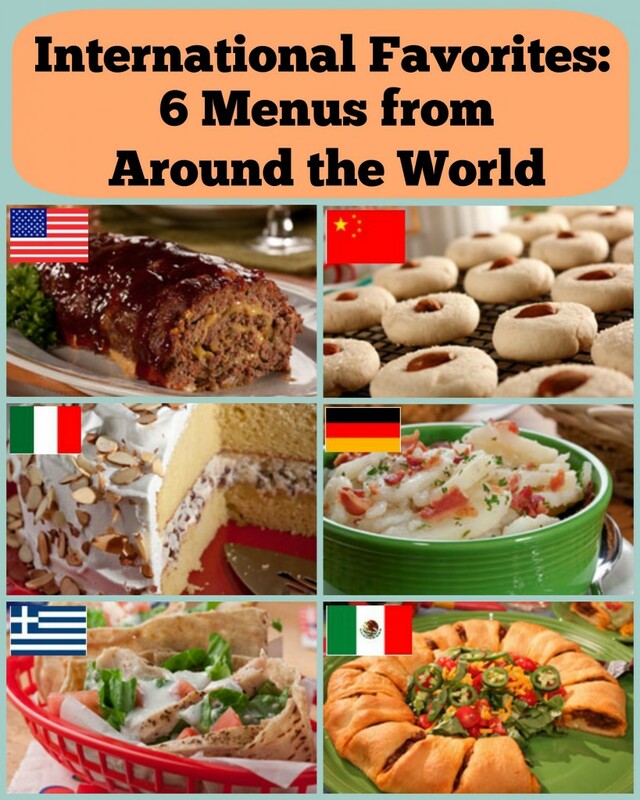 That’s why I’m so excited about our latest eCookbook, International Favorites: 6 Menus from Around the World. 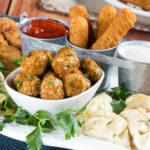 We’ve teamed up with our friends at the National Frozen & Refrigerated Foods Association, Inc. to recreate beloved dishes from around the world. They even use some handy shortcuts with refrigerated and frozen ingredients, so you can prepare your meal in half time the time without sacrificing on taste! 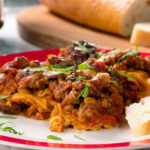 American recipe – BBQ Cheddar Meatloaf: There’s nothing more American than Grandma’s good, old-fashioned meatloaf, right? Well, the Test Kitchen’s put a bit of a twist on this classic by adding some smooth, smoky barbecue sauce. It’s meatloaf re-invented! Italian recipe – Cassata Cake: This is one of the site’s most popular Italian desserts… and for good reason! It’s an elegant homemade cake that concludes any meal with a bit of flair. It may even make a nice sweet treat during breakfast. German recipe – German Potato Salad: Spring is the time for potlucks, which means you can’t have too many deli salad recipes around. This particular potato salad recipe uses bacon, which is reason enough to make it a keeper. Greek recipe – Chicken Gyros: You saw my own photo from a Greek restaurant above, and this recipe is just as good as the real thing. The cucumber sauce alone is reason enough to give it a try. Talk about heavenly! Mexican recipe – Taco Ring: This dish is the ultimate in versatility. You can serve it up as an appetizer for a party or make it for dinner. It works either way! I especially love how simple it is to throw together. Just combine the ingredients for the filling and stuff it inside some crescent roll dough, and you’ve got yourself a meal! Our International Favorites eCookbook has plenty more recipes where those came from. Be sure to check it out to see how you can re-create your most cherished dishes from around the world right at home! We want to know! What type of cuisine do you just LOVE to cook? Let us know in the comments below! I like to make different kinds of food. One time i will make Italian.another day chinese and so on. I think eating should be a experence of different tastes and like a trip somewhere else sometimes. The Surprise Back-to-School Dinner EVERY Super-Mom Needs! Copyright © 2019 · by Ginsburg Enterprises Incorporated. All Rights Reserved.